Visitation for Frances will be 4-8 PM Tuesday, May 29, 2018 at the funeral home. Services to celebrate her life will be 10:00 AM Wednesday, May 30, 2018 at the funeral home with burial to follow at Resthaven Memory Gardens. Frances T. Rue entered Heaven’s gates on Friday, May 25, 2018 at the age of 87. 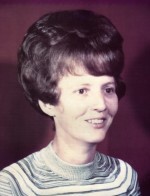 The daughter of Abner Luther and Willa Mae (Jester) Tollette, Frances was born on August 24, 1930 in Newhope, AR. Frances married her sweetheart, Billy G. Rue in 1948. Together they shared more than 58 years of marriage and raising a family before his passing in 2001. Frances worked as an assembly line worker for Western Electric until her retirement. When she wasn’t working, Frances enjoyed fishing, gardening, making candy, reading books, and always loved being up to date by reading the newspaper and watching the daily news. 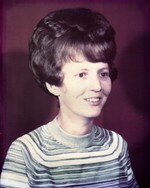 Frances was a devout member of Rancho Village Baptist Church. Great Grandchildren: Payden Long; Sydney Long; Taylan Weller, Chloe Stegman; Madden Montoya; Sofia Stegman; Cullen Brakebill; Tyler Sticker; Chase Boyd; Savanna Boyd; Lane Kogan; & Livionna Kluge. As well as many other extended family and friends. To send flowers to the family of Frances T. Rue, please visit our Heartfelt Sympathies Store.